Photo: opening of Rhythms of a Port, Moira Sweeney, July 2014. The Open Programme 2015 offers artists, photographers, curators and organisations the opportunity to put forward events and join the festival celebrations. We welcome submissions of events relating to Photography and contemporary image culture, from national and international individuals and organisations, looking to develop their own events in Dublin during the month of July. The events could be exhibitions, installations, performances, films, shorts, videos, talks, workshops… the limit is your imagination! All participants will be featured in the Festival catalogue and on the PhotoIreland Festival website, and will receive festival catalogues to distribute during the event. 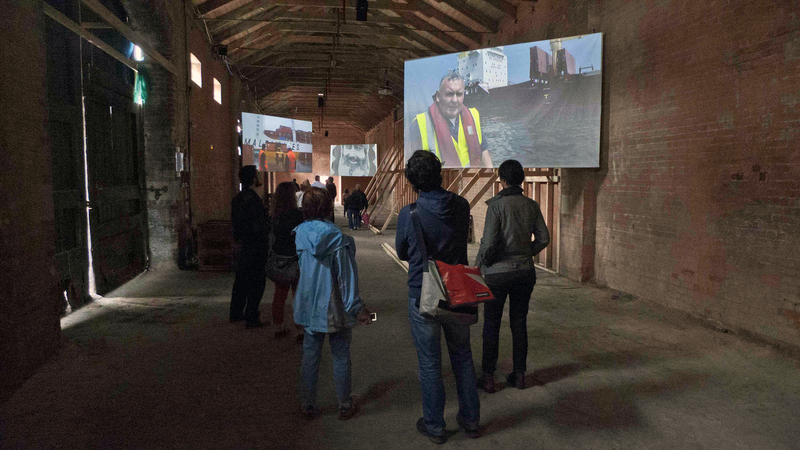 Participate in the Open Programme 2015 to promote personal and collective projects: it is the ideal arena to experiment with event and exhibition making. Make sure you read all the information online, including the guidelines, before using the ‘Submission Form’. Submit your proposal no later than midnight Sunday 17th May 2015. There can be no deadline extensions.